Asiad Steels is one of the renowned manufacturers and suppliers of Inconel 600 Fasteners. 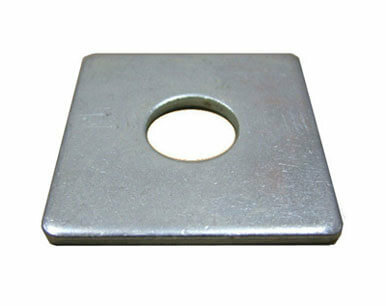 These Fasteners are manufactured from alloy containing nickel as base element with additions of chromium. Inconel UNS N06600 Fasteners have good resistance to aqueous corrosion, has high mechanical strength, and is readily formed and machined. Inconel fasteners are a family of nickel-chromium-molybdenum alloys used for their high strength at elevated temperatures and good corrosion resistance. Applications include heaters, stills, bubble towers and condensers for processing of fatty acids; evaporator tubes, tube sheets and flaking trays for the manufacture of sodium sulfide; and equipment for handling abiotic acid in the manufacture of paper pulp. Inconel Din 2.4816 Fasteners used to make fasteners is of pure grade and premium raw materials with accurately supported documents. Besides this, these standard engineered alloy fasteners have a great resistance towards heat and corrosion. Precision machining and design ensures torque free, zero error fasteners with close tolerances and excellent finishes. 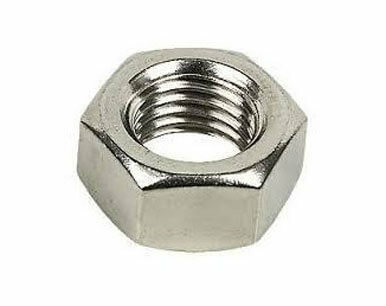 These fasteners are featured with some astonishing properties such as strength, reliability, durability. We provide a wide variety of Inconel fasteners such as; Inconel 600 Nuts, Inconel 600 Bolts, Inconel 600 Washers, and Inconel 600 Stud Bolt. 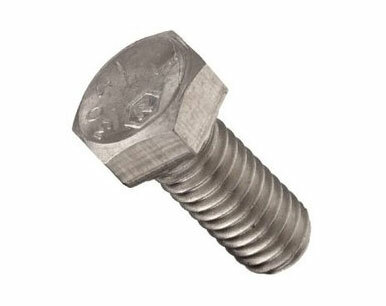 These fasteners are used with corrosion sensitive metals, which require cathodic protection. It has Good oxidation resistance at high temperatures, Corrosion resistance to both organic and inorganic compounds, and Resistance to chloride-ion stress corrosion cracking. Meanwhile, to avoid stress corrosion cracking, the 600 alloy fasteners fabrication should be fully stress relieved prior to use. Buy Alloy 600 Fastenersat reasonable rates from us. We are Exporter of Inconel Alloy 600 Fasteners in Worldwide Such as India, Tibet, Saudi Arabia, Canada, Serbia, Spain, Austria, Iraq, Chile, Lithuania, Taiwan, Libya, Ecuador, India, Thailand, Iran, New Zealand, Poland, Algeria, Colombia, Bulgaria, Qatar, Bhutan, Germany, Australia, Ghana, Indonesia, South Korea, Lebanon, Kazakhstan, Macau, South Africa, Croatia, Israel, Namibia, Kuwait, Estonia, Pakistan, Norway, Czech Republic, Bahrain, Mongolia, Nigeria, Afghanistan, Egypt, Belgium, Bolivia, Vietnam, Jordan, Kenya, Singapore, France, Netherlands, Azerbaijan, Nepal, Romania, China, Slovakia, Angola, Philippines, Belarus, Morocco, Turkey, Greece, Portugal, Switzerland, Hong Kong, Nigeria, Peru, Chile, Iran, United Kingdom, Denmark, Yemen, Bangladesh, Argentina, Russia, Mexico, Malaysia, Italy, Trinidad & Tobago,Tunisia, Japan, Sri Lanka, Brazil, Gabon, Ireland, Puerto Rico, Hungary, United Arab Emirates, Gambia, Sweden, Finland, United States, Venezuela, Oman, Zimbabwe, Costa Rica, Mexico, Ukraine, Poland. We are Suppliers of Inconel 600 Fasteners in India Such as Mumbai, Hanoi, Noida, Chiyoda, Nashik, Ankara, Vadodara, Pimpri-Chinchwad, Chennai, Cairo, Montreal, Perth, Aberdeen, Doha, Karachi, Granada, Rajkot, Calgary, Santiago, New York, Thane, Manama, Riyadh, Tehran, Geoje-si, Hyderabad, Dubai, Moscow, Sydney, Ahmedabad, Ulsan, Singapore, Jakarta, Vung Tau, Melbourne, Al Khobar, London, Navi Mumbai, Ernakulam, Gimhae-si, Ranchi, Algiers, Kuala Lumpur, La Victoria, Courbevoie, Secunderabad, Hong Kong, Haryana, Rio de Janeiro, Dammam, Los Angeles, Al Jubail, Bogota, Kuwait City, Mumbai, Gurgaon, Port-of-Spain, Faridabad, Colombo, Ludhiana, Milan, Abu Dhabi, Dallas, Bangkok, Bhopal, Ahvaz, Ho Chi Minh City, Lagos, Surat, Madrid, Thiruvananthapuram, Busan, Chandigarh, Coimbatore, New Delhi, Sharjah, Houston, Baroda, Istanbul, Howrah, Mexico City, Bengaluru, Lahore, Petaling Jaya, Jeddah, Visakhapatnam, Jaipur, Brisbane, Seoul, Muscat, Kolkata, Indore, Atyrau, Kanpur, Caracas, Edmonton, Toronto, Jamshedpur, Nagpur, Pune.